Four flights and a four-hour taxi ride, covering more than 9,000 miles to reach her student-teaching assignment, proved to be a minor inconvenience for Ashley Olander, whose desire to experience a different culture led her to a remote mountaintop in southern India where she led seventh grade physical education classes. 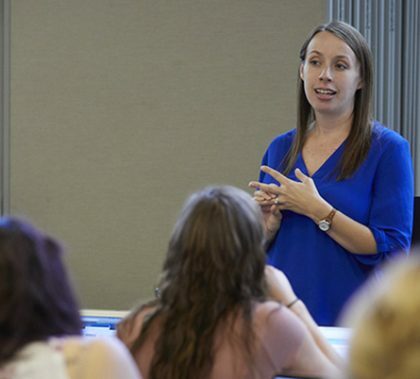 Olander is one of nine Grand Canyon University students who have embraced international student-teaching. 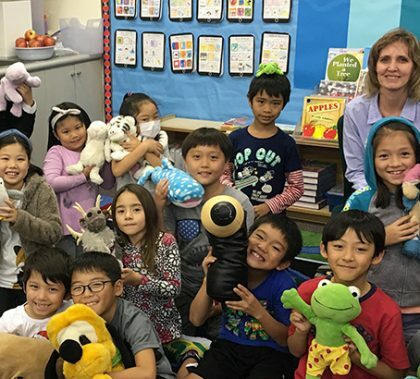 “It is a beautiful opportunity to learn about our world, but most importantly that they see God’s hand at work in our children, no matter if it is in a classroom in America or India or Japan,” said Dr. Kimberly LaPrade, Dean of the College of Education. The December 2018 graduates of the College of Education celebrated the end of their student-teaching experiences on Monday night, reflected on what they learned and expressed their appreciation for the COE faculty who thoroughly prepared them to teach. 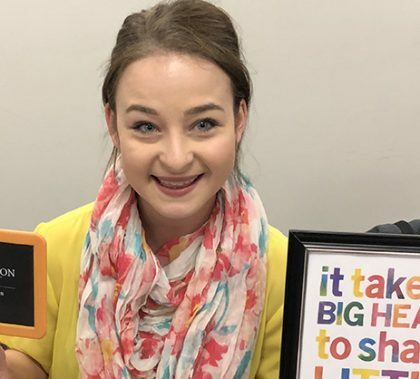 “I knew teachers did a lot and I knew how much I loved and appreciated them, but you don’t really, truly understand how much you love teachers until you have to be in the position to teach,’’ said elementary education aspiring teacher Sarah Schalick. 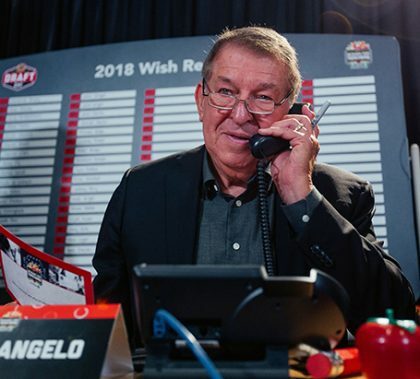 It was a serendipitous moment when Jerry Colangelo dialed Nathan Johnson’s number, granting his wish for $5,000 in physical education equipment for his students at Westwood Elementary. 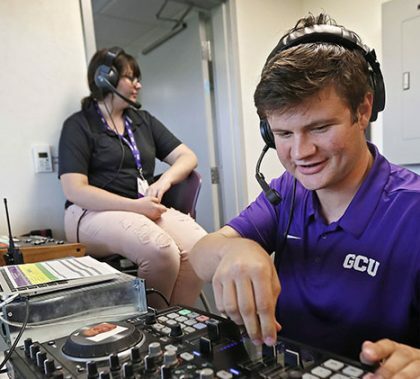 Colangelo is connected to GCU as a benefactor whose name graces the Colangelo College of Business, and Johnson is a GCU alumnus. The Lopes were also involved in the Fiesta Bowl Charities Wishes for Teachers initiative as sponsors and as wish granters, and Dr. Kimberly LaPrade, the Dean of the College of Education, selected the names of three lucky teachers from the large red plastic apple. The Leap to Teach & Lead Career Expo and Networking Event, a collaborative effort by Grand Canyon University’s College of Education, Career IMPACT Center and Strategic Educational Alliances was mutually beneficial. 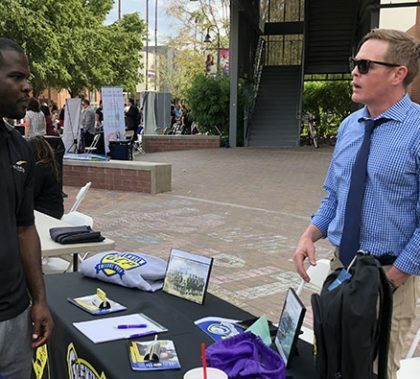 “Lopes Leap to Teach is a win-win for both our students and the school districts,” said Dean of the COE, Dr. Kimberly LaPrade as she walked among dozens of employers and potential employees along the Promenade. 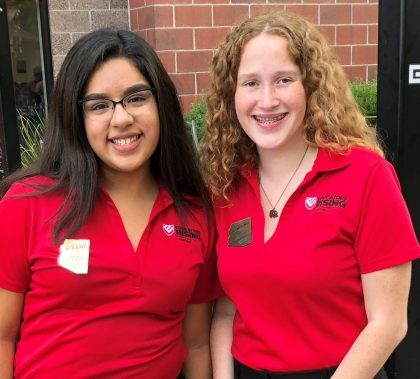 The growth of the Educators Rising Arizona Fall Leadership Conference was evident last week when high school students joined their college brethren on campus, attending opening remarks and the keynote speech, along with breakout sessions between dining on Lopes Way and in the Student Union. With 641 attendees, participation has doubled in less than three years. 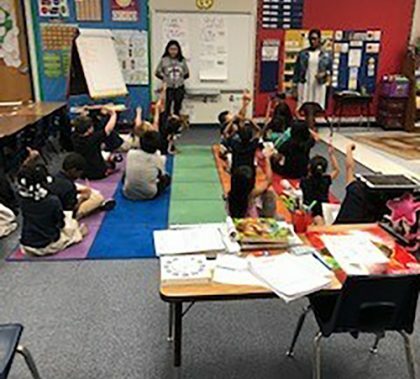 Eighty GCU students are in the class room already, gaining valuable experience by teaching lessons in math, science, social studies and art at nearby Westwood Elementary for students from preschool through Grade 3.